If it's time to stop pushing and start pedaling, the Hotrock 12 makes the transition fun, easy, and sets her up for a lifetime of riding. >12" A1 Premium Aluminum coaster-style frame is light and low to the ground. >Tough steel fork for stable handling and control. 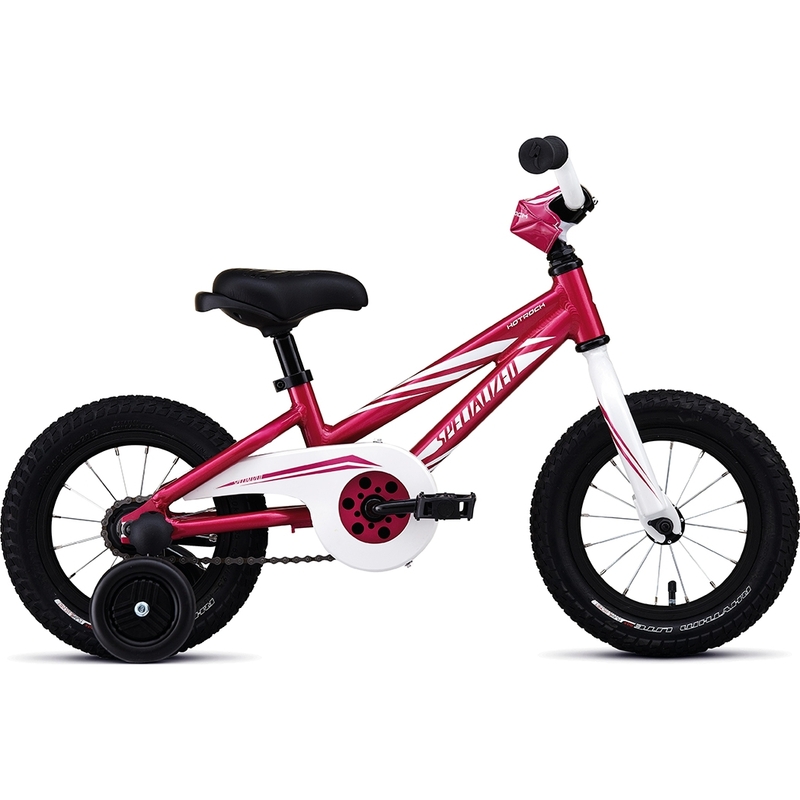 >Tough, 16-spoke, alloy single wall rims are stable and light for little kids. >Specialized Rhythm Lite tires take kids from the driveway to the dirt confidently. >Soft Kraton grips are easy for little hands to hold tight. >Caliper pull brakes provide safe stopping power and help train kids for big-kid bikes. >Specialized Kids saddle w/ handle for parents to help during early days of training wheels.